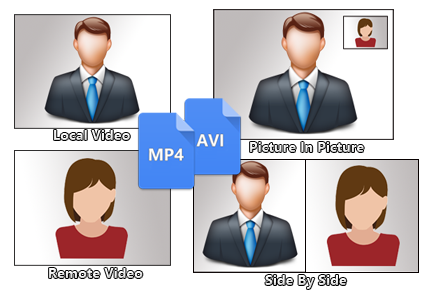 Record Skype video and audio calls into MP4 & AVI movie files. Easy to use for recording Skype video and audio interviews, conferences, podcasts, or family calls. Evaer Skype recorder records Skype call with capturing original media data and there is no data loss. 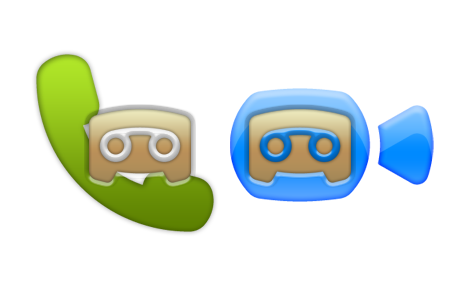 When you receive Skype voicemail and Skype video message, you can save it directly to your computer by a few simple clicks using Evaer Skype recorder. 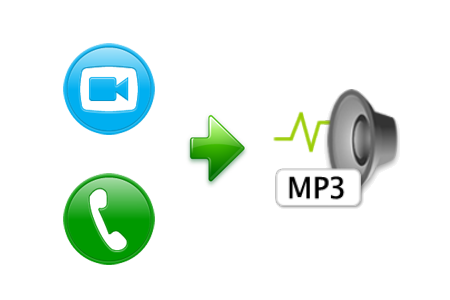 Evaer Skype recorder supports separate MP3 audio file recording when you record the Skype video calls. You can also use it just to record the Skype audio calls. It can automatically detect the type of call, video call recording into MP4 or AVI file, voice call recording into MP3 file. 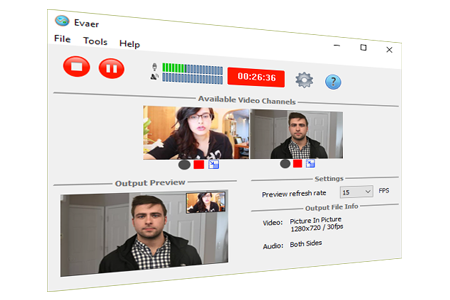 Evaer records Skype by capturing original audio and video data. It is NOT a screen-capture recorder, video quality is not affected at all if you resize Skype video windows while recording. Free download and Free trial. "I often use Skype for making calls to my relatives and friends and we have lots of fun while talking but I was unable to record Skype calls. But now I have installed all these things on my system and I am able to record Skype video calls. It's super awesome." "Everything automatically done for you! You have options to manually set up everything automated - auto record Skype call, voice mail, auto stop recording upon end of conversation!" "I use Evaer to record guitar lessons I take by Skype from Mexico with my teacher in Las Vegas; your service is invaluable!" "The quality of Evaer is only rivaled by its superb customer service. I have extensively relied upon it to record the minutes of highly sensitive meetings, and I wouldn't put my faith in any other product. It's the best Skype recorder." "Amazing software! I use your Skype Video Recorder every day. It's very useful product. I like it quite a lot..."
"I really like your Skype video recorder. Though there are a lot of similar softwares around I found yours the best. Simple and does what its out to do! " "I love the Evaer Skype video recorder. We record our grandchildren half way around the globe using it! " "I couldn't be more pleased with Evaer. I Skype my 84 year old father every Sunday morning and I use your product to lay down a record of our discussions. I works seamlessly and does a perfect job of recording our sessions. I have years of our talks recorded. The updates you provide are regular, easy to install, and useful. Keep up the good work. "